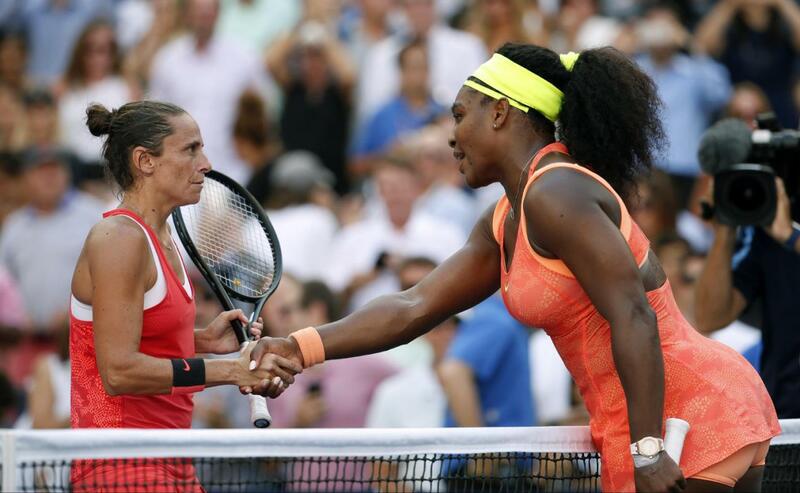 Shock waves rippled through Arthur Ashe Stadium on Friday afternoon. Playing a semifinal match that was originally scheduled for Thursday night, but delayed by rain, Serena Williams’s superb summer came to a stunning end, two wins shy of completing the first calendar Grand Slam since 1988. Surprise semifinalist Roberta Vinci prevailed, 2-6, 6-4, 6-4. Vinci came into the match as a serious underdog. The 32-year-old Italian had not played a top-10 seed in the fortnight, and had never beaten Williams – or even taken a set – in four previous meetings. A doubles specialist, this was her first grand slam singles semifinal. Even she hadn't thought she had a shot to beat the world's No. 1, she admitted to the crowd after the match. “This is an incredible moment for me. It’s like a dream. I’m in the final. I beat Serena," she said on court after the win.